Last week the fellows enjoyed another class with Matthew Lee Anderson. Matt is a research associate at Baylor’s Institute for the Studies of Religion, and recently received his D.Phil. in Christian Ethics from Oxford University. He’s also a good friend who serves on the board of Brazos Fellows, and a regular guest instructor in our Course of Study. Last week he led the fellows in discussing Karl Barth’s Dogmatics in Outline. Today our guest instructor was Skylar Ray, a PhD student in the History Department at Baylor and a tutor for Brazos Fellows. Skylar’s research focuses on 20th century Protestantism and its broader relationship to American culture, religion, and politics. It was great to have her in our Course of Study today as we wrestled with changes in mainline and evangelical denominations during the 20th century. Today the Brazos Fellows had the chance to talk with Prof. Gerald McDermott, the Anglican Professor of Divinity at Beeson Divinity School. At Beeson, Prof. McDermott teaches on the history of doctrine, world religions, and Jonathan Edwards. Since the fellows just read Edwards last week with help from Bruce Hindmarsh, it was a real treat to talk to another scholar about Edwards’ remarkable theological vision of all of reality.  Today the Brazos Fellows enjoyed a Saturday Seminar taught by Dr. Ralph Wood, University Professor of Theology and Literature at Baylor. Several times this year the fellows have had the pleasure of learning from Dr. Wood on a number of topics, including the devotional poetry of George Herbert, the spirituality of icons, and, today, the fiction of Flannery O’Connor. What is a valuable human life? What role does achievement play in that life? Can the life of love coexist with the quest for achievement? Or do they conflict?